Dissolve one serving (30g) in water. Drink once daily during workout. 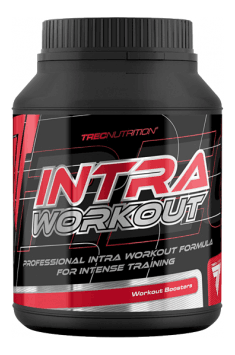 The product is recommended as a pre-workout booster, especially before a really hard, highly intensive training. Thanks to the content of coconut water and minerals, the preparation efficiently supplements electrolytes lost during workout, thanks to which you do not have to use another sports drink. Due to the content of caffeine, you should not use this preparation in the evening. Flavors, Thickeners (Xanthan gum, Cellulose gum), Sweeteners (Sucralose). Vitamin F (presently, because of its structure, not classified as vitamin) it is an unsaturated fatty acid, soluble in liquids. Present in the peanut acid, linoleic acid and linolenic acid. It is obtained from products: wheat germ, almonds, sunflower seeds, vegetable oils, nuts. In cosmetics, creams used for beautification creams, because it eliminates skin blemishes and for hair care products (creams with vitamin F). In medicine it reduces the deposition of cholesterol on the arterial walls and prevents obesity. Deficiency of vitamin F can contribute to skin blemishes.